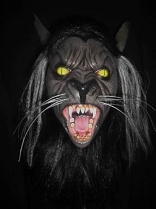 It's time to let out your inner beast. 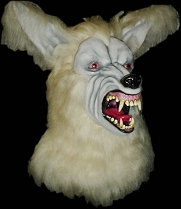 Halloween-Mask.com has a huge selection of everyone's favorite party animal, the werewolf! 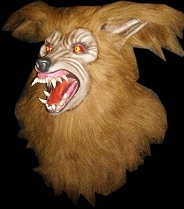 From older-style wolfman masks to canine monstrosities complete with snout, fangs, and moving jaw, you'll find the perfect representation of the wolf within. 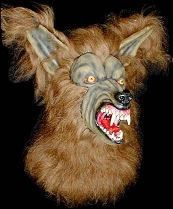 We guarantee you'll find the coolest, most terrifying werewolf masks imaginable right here in our collection at Halloween-Mask.com. 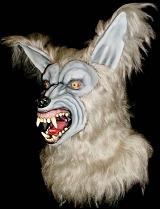 If you're looking for something more on the comedic side of the werewolf theme, we have a few of those as well — a wolf for every phase of the moon. Got questions? 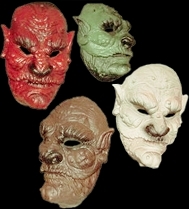 Contact us at Halloween-Mask.com and we'll help you track down what you're hunting for!